NY Jets: The NY Jets are in rebuild mode, according to head coach Tod Bowles. During the off season the organization partied ways with an number of veterans players. Gino Smith and Bradon Marshall join the NY football Giants. Veteran receiver Eric Decker signed with the Tennessee Titans . With all those key players missing it’s obivous the Jets are in rebuild mode. Althought on the defense side of the ball the team has number of veteran players. Defensive lineman Lenord Williams was qouted “I’m in the best shape of my life”. Well he will have plenty of opportiunties to display his new found joy. Recently the Jets signed former displaced wide receiver Lucky Whitehead after he was released by the Dallas Cowboys. He’s excited for the a new start with his new team, qoute ” happy for the new start and the opportunity for a clean slate”. Offensivlly the Jets are a work in progress, starting with the most important position Quaterback. 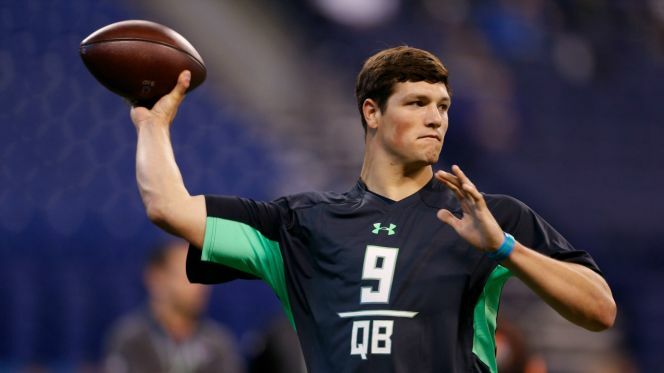 It appears Christian Hackenberg will be the starting on opening day. The also signed veteran backup Josh McCown as insurance.